He was born and raised in São Paulo, Brazil, where he also earned his degree from the Independent Presbyterian Theological Seminary. He was ordained by the Independent Presbyterian Church of Brazil and served two different Presbyterian congregations in São Paulo. He studied ecumenism in Switzerland at the World Council of Churches and received his M.A. in theology and literature from Methodist University’s Ecumenical Institute of the Graduate School of Religion in São Paulo under the guidance of Dr. Jaci C. Maraschin. In a partnership between the Presbytery of São Paulo and the Presbytery of Southern New England, Carvalhaes became one of the first missionaries to do “reverse mission” coming to the United States after Presbyterians went to Brazil in 1859. He became a founding pastor of Christ is Life Presbyterian Church, a Portuguese-speaking immigrant congregation in Fall River, Massachusetts. After serving the church for four years, Carvalhaes moved to New York City where he started his doctoral studies at Union Theological Seminary under the guidance of Drs. Janet R. Walton and Delores Williams. Throughout his studies, he provided classroom assistance to notable Union professors including James Cone (“Foundations of Christian Theology,” 2003) and Janet Walton (“Worship and the Arts,” 2004). Union also designated Carvalhaes the Daniel Day Williams Fellow for 2006-2007, an award presented to the Ph.D. student with outstanding work in theology, philosophy, ethics, and culture. He was selected to participate in the Wabash Workshop for Pre-Tenured Faculty in 2008-2009 and was invited to be part of the worship team of the All Africa Conference of Churches in Maputo, Mozambique, in December 2008. In 2010 he served on the worship team for the Edinburgh 2010 World Missionary Conference. 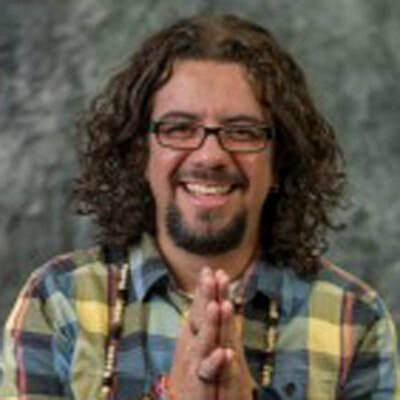 Recently, Dr. Carvalhaes participated at AAR/Luce Summer Seminars on Theologies of Religious Pluralism and Comparative Theology, (2010-2011) and of the Wabash Workshop for Pre- Tenure Latino/a Religion Faculty in Theological Schools, Colleges, and Universities (2012-2013). He has also received the award The Most Fabulous Faculty, an award given by students at Louisville Presbyterian Theological Seminary, 2007-2008 and 2011-2012. In 2009-2010 he has been awarded The Kentucky Metroversity Outstanding Faculty of Adult Learners Award. Carvalhaes has served with the Presbyterian Church (USA) in its peacemaking and immigrant groups ministries. He was on the faculty of the ITEBA, Institute of Theological Education of Bahia, Brazil, for two years and continues to work with immigrant groups in US and Brazil. He was the co-chair of the Hispanic Latino/a Coalition of Louisville, KY, and serves on the board of The Society for the Arts, Religion and Contemporary Culture; the Brazilian online journal, Trópico – Ideias de Norte a Sul, is a board member of Postcolonial Networks, of The Multidisciplinary Study Group on Religion and Public Advocacy (GEMRIP) from Argentina, and of Ecclesial Practices: Journal of Ecclesiology and Ethnography. He is the US editor for the Hispanic/English/Portuguese theological website: Lupa Protestante from Spain. He has published articles, in English, Spanish and Portuguese, on the relation between globalization, immigration, multiculturalism and postcolonial theologies/liturgies, worship, arts, and the Christian faith. Carvalhaes is the author of three books in Portuguese, and one in English: Eucharist and Globalization: Redrawing the Borders of Eucharistic Hospitality (Wipf and Stock, 2013). His upcoming books are: What Worship has to do with it? Interpreting Life, Church and the World Liturgically (Cascade Books, 2015) and an edited volume, Liturgy in Postcolonial Perspectives – Only One is Holy (New York: Palgrave Macmillan: Postcolonialism and Religions Series, 2015).